Should Mesothelioma Patients Use Supplements? It is that time of year again when we see the “New Year, New Me” posts on Facebook and Twitter. As people begin their new year’s resolutions of leading healthier lives, diet and nutrition ads flood the TV, the web and social media. Health consciousness in the U.S. is undeniable. 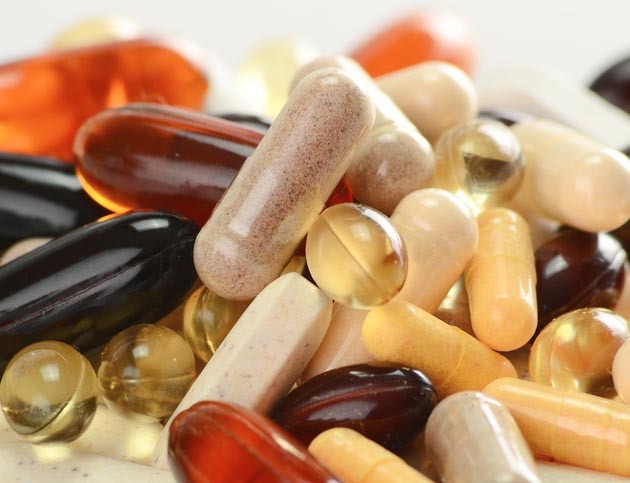 Americans spent over $20 billion on dietary supplements in 2015. Patients diagnosed with mesothelioma and other cancers often complement their treatments with vitamins, herbs and other dietary supplements to increase their chances of survival and avoiding side effects. Changing what we eat or adding vitamin supplements can significantly impact our health, but sometimes those changes aren’t what people expect. Our bodies need a certain amount of nutrients, which we usually receive through the foods we eat, to function properly. The U.S. Department of Agriculture (USDA) determines recommended dietary guidelines that details the types and amounts of foods people should consume. Every person needs a different amount of nutrient intake, depending on several factors such as health, height and weight. The USDA’s food patterns provide guidelines for the number of calories a person should consume daily, as well as other information such as amount of foods to eat from the five major food groups and their subgroups. The USDA generally recommends adults consume 1,600 to 3,200 calories daily. The guidelines suggest people eat vegetables, fruits, whole grains, oils, dairy and protein products; however, doctors will sometimes adjust the guidelines to fit the diets of cancer patients. Oncology teams often employ dietitians to aid in this process. Cancer patients undergoing chemotherapy may find eating difficult. The side effects of some cancer treatments make patients feel nauseous. Some patients may develop oral complications that further contribute to an inability to consume the right foods or the right amount. Chemotherapy alters the way your body uses nutrients. An inadequate diet can further exacerbate nutrition issues created from these changes. Your oncology team can conduct blood tests to determine if you are getting enough nutrients from the foods you consume. If blood work indicates vitamin deficiencies, doctors may make changes to your diet or add a supplement. The American Cancer Society advises against adding dietary supplements, unless under the direction of a doctor. Vitamins and dietary supplements come in all sorts of forms such as teas, ointments and pills. Taking a pill when you are unable to eat food seems like the perfect remedy. But don’t go out to the drugstore just yet. It is imperative that patients do not add supplements on their own. Some vitamins, minerals and herbal supplements can interact with cancer treatments and there is conflicting research regarding the dangers and benefits of adding supplements. The National Cancer Institute reviews much of the conflicting research available on how supplements interact with chemotherapy. While some researchers tout the efficacy of adding supplements to chemotherapy treatments, others warn of the dangers of interaction. From the data available, most scientists conclude more research is needed for concise answers about nutritional interactions with chemotherapy. The American Cancer Society developed an informative guide for families facing cancer that reviews some of the many health advantages of maintaining good nutrition. Feeling Physically Better: Fighting cancer takes a toll on the body. Feeding the body proper nutrients helps combat cancer. Keeping up Strength and Energy: Many people who undergo chemotherapy suffer from weakness and fatigue. Eating foods with the right nutrients can help maintain strength and energy. Lowering Risk of Infection and Promoting Healing: Nutrient-rich foods can combat the damage chemotherapy causes to the immune system. A healthy diet can also help the body heal from cell damage. The most important thing to remember is that you should discuss dietary options with your or your loved one’s oncology team. Proteins: Eggs, beans and lean meats can help the body heal from chemotherapy, promote healing and fend off infections. Carbohydrates: Carbs provide a good source of energy and help maintain optimal organ function. Pay attention to food labels and look for items that are 100 percent whole grain. Water: It is important to fend off dehydration during chemotherapy. All liquids (even soups and gelatin) a person consumes daily count toward the suggested eight glasses per day. If you already take a vitamin supplement, be sure to mention it at your next doctor’s appointment. The American Cancer Society suggests avoiding consuming more than the 100 percent daily allowance of any vitamin or mineral. American Cancer Society. (2015, July 15). Benefits of good nutrition during cancer treatment. American Cancer Society. (2015, July 15). Nutrition for the Person With Cancer During Treatment: A guide for Patients and Families. National Cancer Institute. (2014, January 16). Antioxidants and Cancer Prevention. Office of Dietary Supplements. (n.d.). Who Is Using Dietary Supplements and What are They Using?